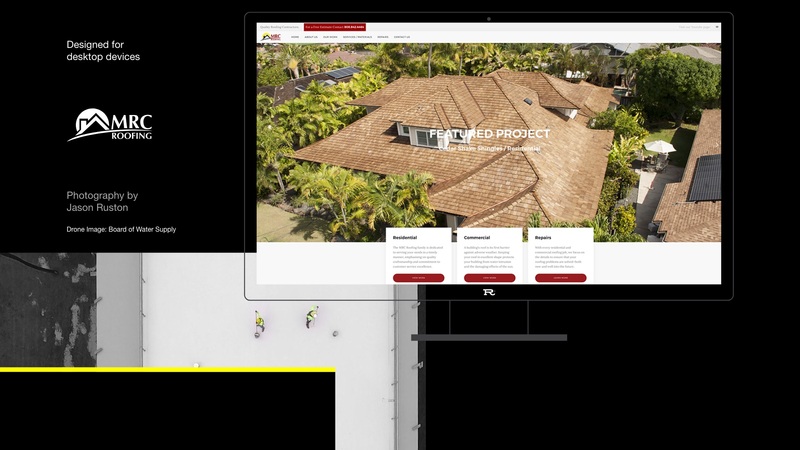 MRC Roofing Hawaii needed a website refresh to reflect the growth of the business and attract new leads. 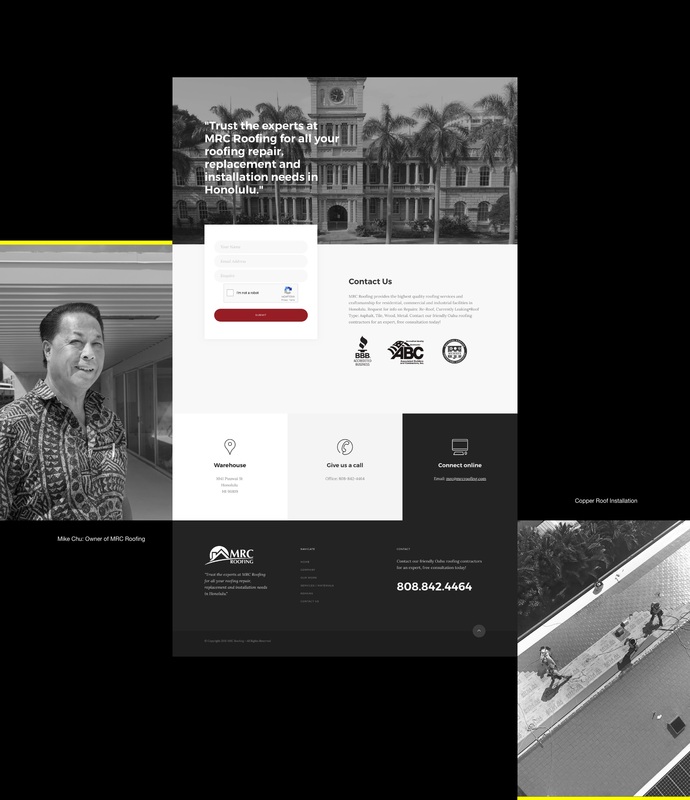 The client approached me to redesign their website. They did not have a good experience in the past. Earning their trust was key for this project. I looked into what went wrong in the past for them and came up with a solution that would not only fix their website, but also drive traffic. I managed to get MRC's web page to the top of Google searches without paid advertising. 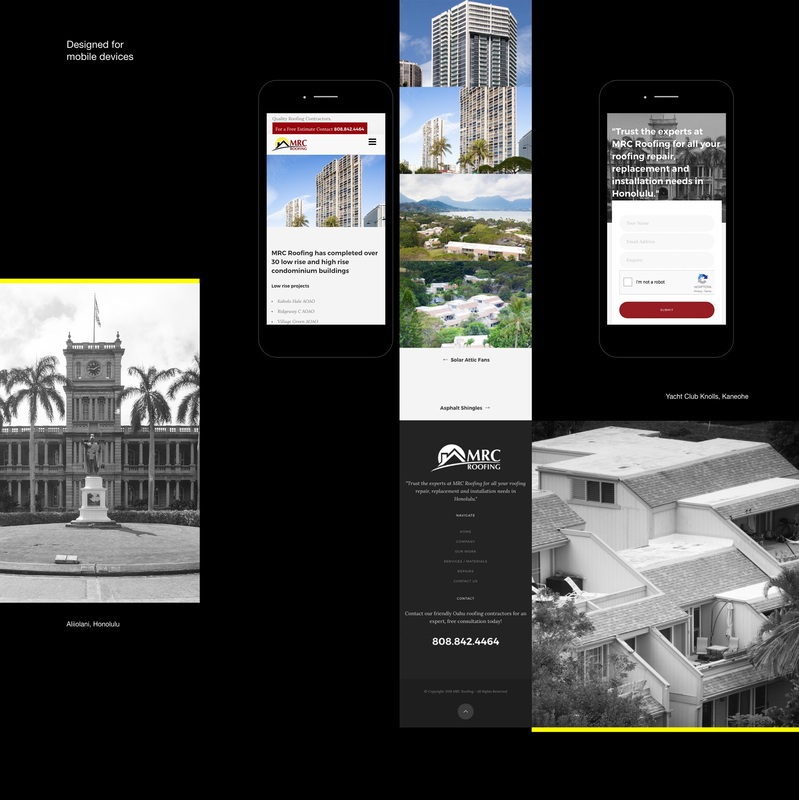 I designed and developed the website using HTML, CSS. 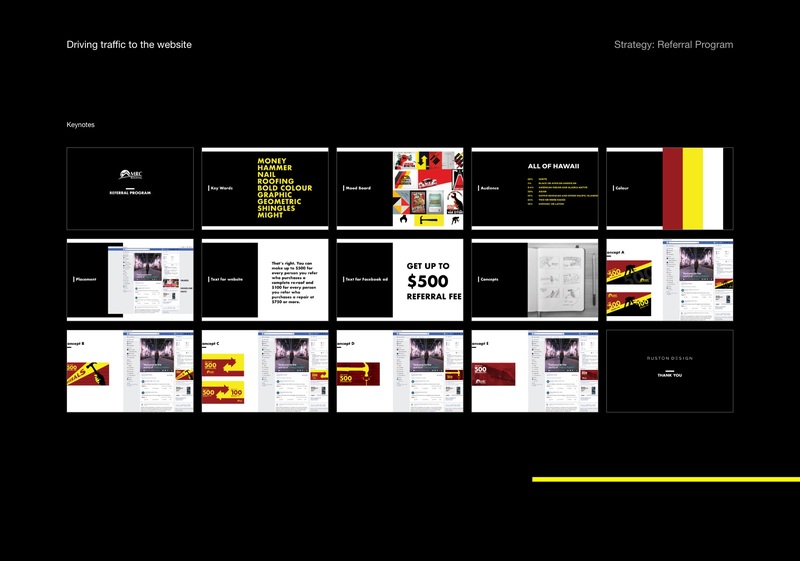 I curated the content from the old website and adapted key information from their marketing materials. 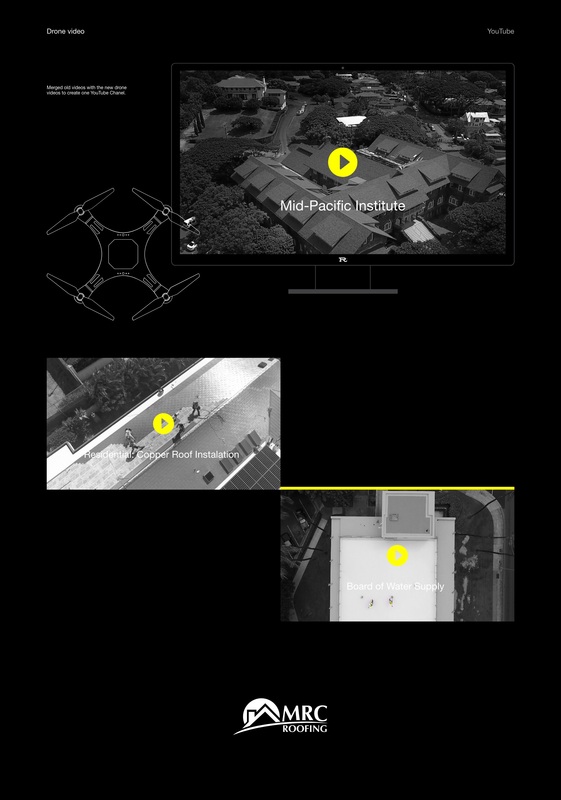 To further help drive traffic to their website, I set up a new YouTube page compiling their older videos with the new drone videos Ruston Design shot. While earning MRC's trust and confidence in my work, I continued to offer exceptional service by maintaining the website and offering further ways to gain potential leads. I did this by setting up a Facebook advertising campaign using a referral program.